With summer reside by your side, expecting irregularities in an air conditioner has now become common to be commonly found as one of the factors that could turn away your attention more often than not for which worrying or panicking shouldn’t be the resort to depend upon. It’s fairly a usual thing now of an air conditioner to leak water at any time of the hot summer weather. 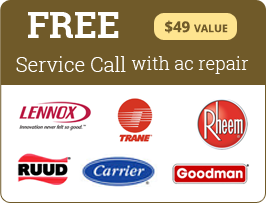 So, instead of worrying or panicking, knowing the causes is highly recommended and the causes are varied and some of the causes are listed here in this blog by AC repair Hollywood service. The evaporator coil in the air conditioner works to get away all the humidity from the air especially in the hot summer days. Now when the AC unit pulls out the warm air from your house, then it could result in the formation of condensation around the coil which further give rise to AC dripping water. This happens because the moisture doesn’t get emptied into the drain pan through which it should drain. The water gets dripped out when this drain pan gets full and isn’t able to drain water properly. The filter is another reason of having an AC leaking water as when the dust, debris and other pollutant gets build-up on the air filter, it could lead to the accumulation of moisture on the evaporator coil that turns into an ice. Now when this ice starts getting melted, it gets flown over the edges of the drain pan thus letting the AC system to leak water. 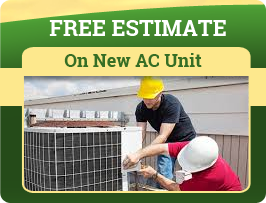 The AC installation is quite an important segment in the overall functioning of the air conditioner and when this is done incorrectly, then it could lead several functionality issues of which the AC leaking water issue with the AC system is one of the major things seen disturbing. So, doing the right installation is majorly required for the AC not to leak water.